There’s a wide range of options available for your experience including Shared group tours and private tours. Your choice will depend upon how many days you have available for your Desert tour, the quality that you expect and the destinations that you want to visit. Choosing your Desert destination and the type of tour is the first part of your adventure. We’ve compiled this guide to Marrakech Desert tours to help you choose the tour which is best for you. The first consideration for choosing your Marrakech Desert tour is how many days you have available for your tour. The more days that you can allocate to your Desert tour, the more you can experience of Morocco’s Desert region. 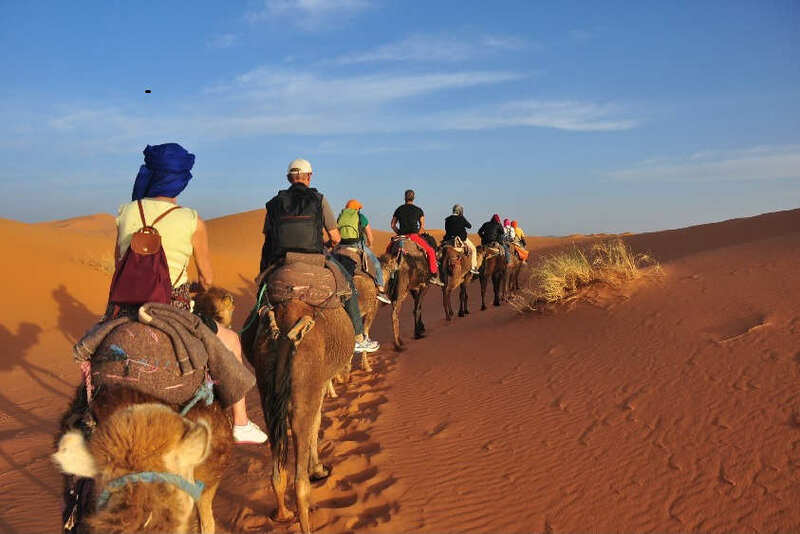 So, let’s look at the duration options for Desert tours from Marrakech and what you can expect from each option. 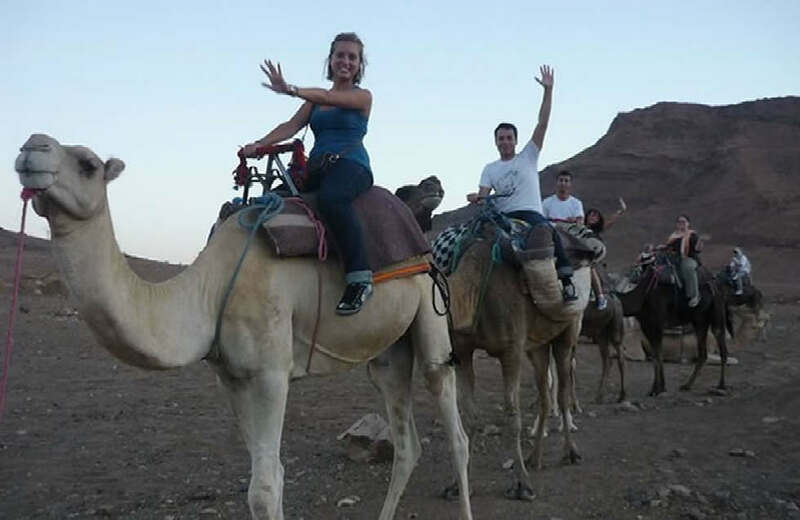 A 2 days Desert tour from Marrakech could take you to the Zagora region. Located over the Atlas Mountains and through the Draa Valley, Zagora offers a great taster of the Desert, especially when you want to complete your trip in 2 days. A 3 days Desert tour from Marrakech enables you to experience Erg Chebbi, which has the highest Dunes in Morocco. It’s a longer journey, but you do get to experience much more of the Desert. On the 1st night you stay at a Hotel and you stay at an Erg Chebbi desert camp on the 2nd night. Shared Desert tours help you to save money. You join other visitors in the same vehicle for your tour. This is a great way to enjoy a tour and meet new friends from all over the world. Shared tours usually take place in Modern & air conditioned vehicles of a maximum size of 17 seater vehicles. With shared tours companies would usually include private tents and private Hotel rooms so you should not have to share with people that you do not know. Shared tours are great for solo travelers, families and groups of friends. Private tours are great for when you are a large group or when you want flexibility in your itinerary and you want to visit places which a shared tour may not visit. Private tours are all about you and your specific requirements. The itineraries can be customised to your specific needs, and can include other locations and experiences which are not included in shared tours. If you want to go Quad biking in the Desert, we recommend private tours for the flexibility. How far is the Desert from Marrakech? Agafay Desert is predominantly flat & rocky Desert. The big bonus is Agafay Desert is just 40 minutes drive from Marrakech. Recommended if you are not fussed about dunes, but just want to experience staying in a Berber tent in the countryside and don’t want to travel too far from Marrakech. The Zagora Desert in Morocco, is approx 6.5 hours driving from Marrakech. The dunes are small to medium size. Recommended destination for an overnight Desert trip. Requires an overnight stay halfway through the journey from Marrakech to Merzouga. Merzouga is home to Erg Chebbi, which has the largest Dunes in Morocco. Great for a 3 days experience or longer. Best advised to take an overnight stay at Zagora and then continue to Erg Chegaga the next day. Erg Chegaga has large dunes and is the best location for a real “get away from everyone” desert trip. Usually recommended for Marrakech Desert tours of at least 2 nights or more. A Morocco overnight desert adventure for those who only have 2 days to visit the desert. 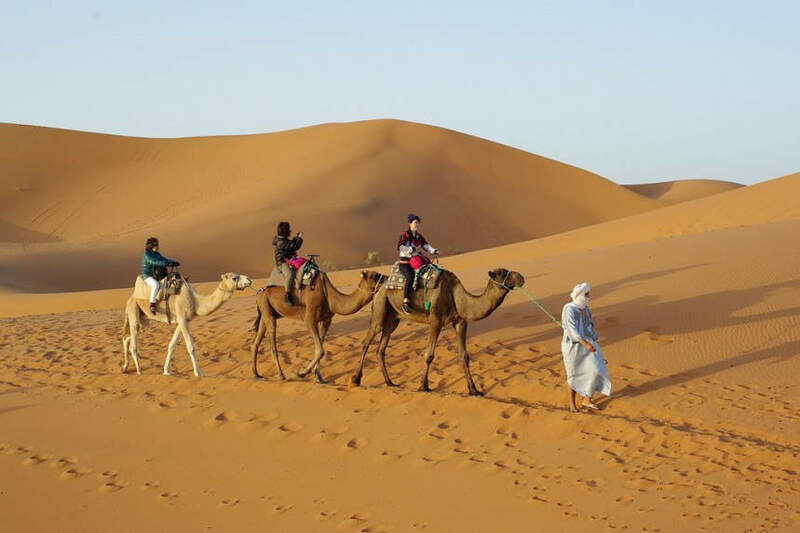 A 3 day group Desert tour to Erg Chebbi, the highest dunes in Morocco. Provide pick up from your Marrakech Hotel. 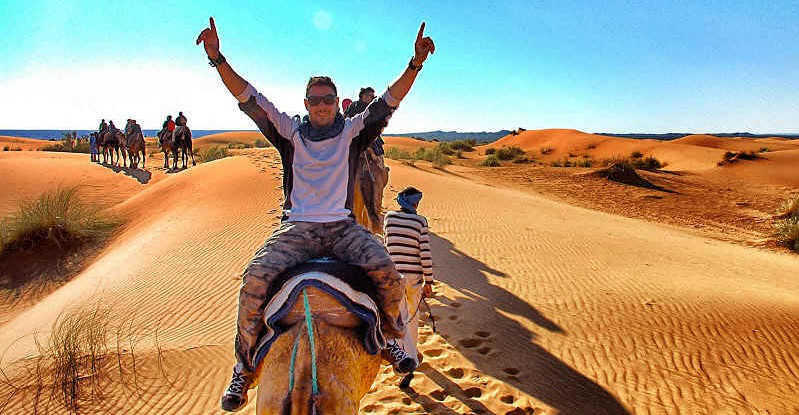 Stay overnight at a Dades valley Hotel & an erg Chebbi Desert camp in the Sahara desert. Why visit Kasbah ait benhaddou? Need help with a desert trip? Need a custom, private, desert tour? Contact us to discuss your requirements or questions.